Chances are – you currently have an idea of what fitness is based on what you’ve seen most often defined as “fitness” by the media, friends or family. And often times, it looks a whole lot like “going to the gym” to lift weights and spending hours on cardio machines, or training for a marathon. While I’m personally a huge fan of the gym, strength training, and running (sometimes) – I’m happy to inform you that this is not the definition of fitness. Fitness – or the state of being physically fit, can be achieved with a variety of inputs both in and outside of the gym. There is no one fitness program that works for everyone, and fitness is best achieved following our intuition, respecting our goals, and pursuing what we genuinely enjoy. In short, fitness is simply engaging with movement that is beneficial and nourishing for us physically and mentally. Having this as our baseline will remove much of the unnecessary struggle that typically accompanies creating and maintaining a workout plan. Ready to explore fitness? Here are five steps to help you kick-start a fitness program that is right for you. If you’ve done sports before or experimented with fitness classes or protocols, you may have a clear answer for this. But, if you’ve never really pursued fitness regularly, you may not have an answer – and that’s OK. This is your opportunity to explore, and experiment with new things. Thanks to Mr. Google, simply typing in “City” + “Fitness” or “Yoga” or “Sports Club” will yield plenty of ideas to get started. Pick 2-4 fitness businesses, like a Crossfit gym, or a yoga or spinning studio, and see if they allow guests to tryout the facility for free or for a small fee. See what things appeal to you, and what classes grab your attention, and give it a go. Invite a friend, or introduce yourself to a few people while you’re there. You can also try doing things on your own – like going for hikes, or regular walks or bike rides with equipment that you already have at home. After this, I recommend polling your friends to see what it is they most enjoy doing. Ask if you can join them one day, and see how it makes you feel. While there are many reason people struggle with staying motivated, people often have a hard time sticking to a workout plan because they follow what everyone else says is the “right” thing to do instead of exploring what is right for them. For example, just because someone says working out first thing in the morning is best does not mean it is the best thing for you. If working out midday or in the evening is easier for you – do that. Figure out what works best for you, your body, and your routine, and own it. Likewise, it’s important to explore how you operate, and the ways in which you respond to goals. While there are many people who are self-motivated and don’t need external accountability, there are equally a large number of people who need accountability from other people in order to make things happen. If you know that you are much more likely to show up to a workout if you have a friend or coach there to hold you accountable, then create that situation for yourself. If you prefer to do workouts on your own, and like recording your workouts in a notebook for accountability – make that a part of your routine. Before starting a workout plan, I highly encourage you to explore the why behind your desire to become more fit. Do you want to be able to walk, move, and play with your kids or grandkids more? Do you want to become stronger, and reduce back pain? Are you interested in having more energy? Understanding your why will allow you to focus on the right activities, and keep you motivated. Making both a short and long-term fitness goal will help you celebrate small achievements as you work towards bigger ones. For example, your short-term fitness goal may be to perform your first modified push-up in 6 weeks, while your long term goal is to do 5 regular push-ups in 12 months. Keep this sticky note on your mirror, or somewhere that you can access it easily, like your wallet. Having it close by will allow you to review it when you need a friendly reminder about why you’re pursuing fitness. Once you know what you’d like to do – it’s time to get yourself the tools you need to make it happen. Yes, this means you will probably spend money. Initially, there will be a small investment in whatever activity you choose to try. For example, if you’re going to walk more, it’s definitely a good idea to get new walking shoes that are fit to you. If you’d like to try home workouts, getting a couple exercise bands or a kettlebell is a great place to start. And if you’d like to take a dance class, you’re probably going to need to purchase a few pieces of clothing. Get the stuff, and go for it. To build fitness and strength, you do not need to constantly work at maximal capacity, or push through pain. Furthermore, you do not need to workout every day, or hours at a time to see results. Studies show doing shorter bouts of more intense training is superior to steady cardio efforts when it comes to improving both aerobic and anaerobic capacity, and increasing lean body mass. Depending on your goals and interest, this approach can be applied to a variety of fitness activities. When pursuing fitness, focus on less volume, more quality. This will expose your body to less unnecessary stress, and increase rest and recovery, which is when our body becomes stronger. Keep in mind that workouts are stress, and without the appropriate rest, muscle breakdown can exceed muscle recovery and growth, which puts the body into a catabolic or destructive state. When following a program, you do not need to force fitness adaptations. The truth of the matter is, you can’t really stop it. So, as you start to understand what fitness activities you really enjoy doing and become better at it, consider getting a trainer to help you create some guidelines or a plan that will allow you to make gains, and get appropriate rest. 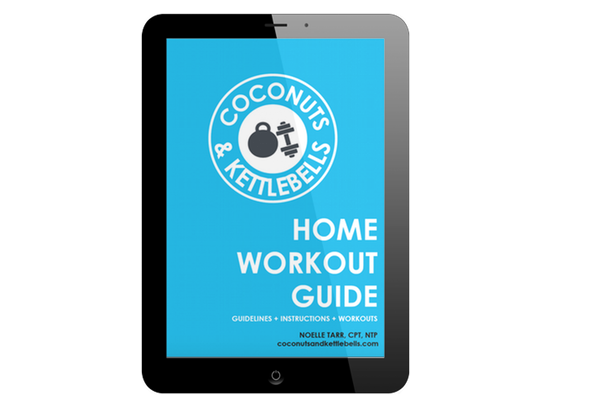 Become fitter, stronger, and more capable with my totally free Home Workout Guide, a 47-page ebook packed full of workouts, step-by-step exercise demonstrations, and information about how to schedule workouts.